Fresh Freight is HACCP accredited at all depots, AQIS accredited as Export Eligible Premises at all depots, and a Tasmanian Government (DPIPWE) Approved Quarantine Place at all Tasmanian depots. 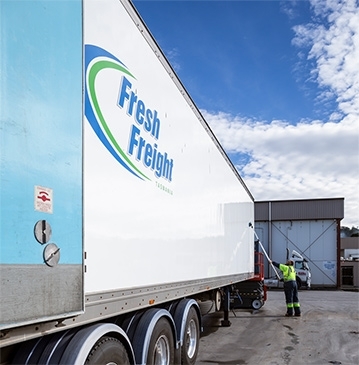 All Fresh Freight Tasmania's refrigerated transport equipment have Prime Safe accreditation. Also licenced as a Prime Safe Seafood Safety Wholesaler Category A at Laverton North depot in Victoria.